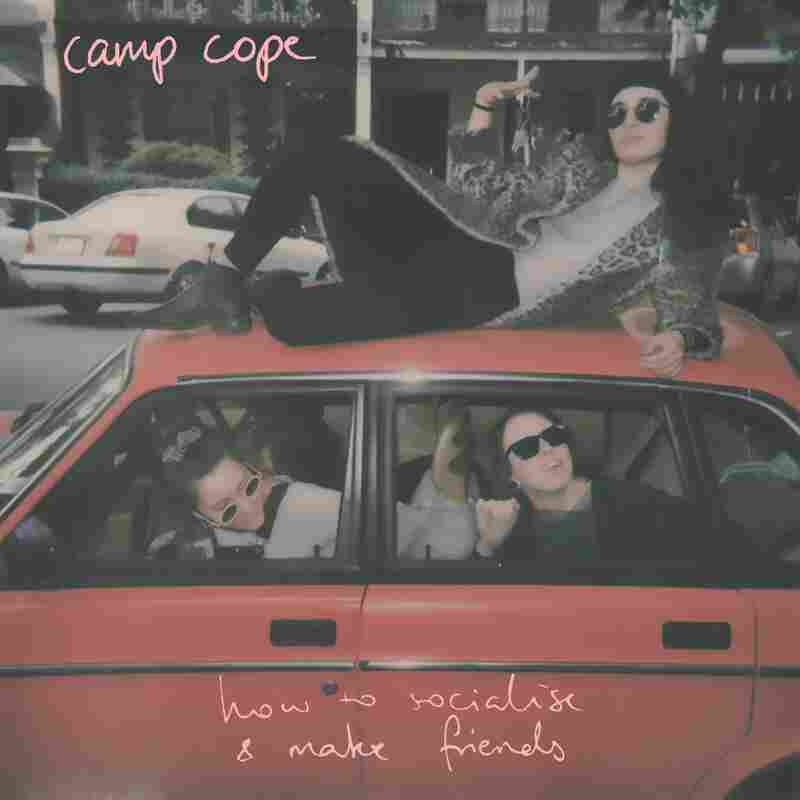 Review: Camp Cope, 'How To Socialise & Make Friends' The Melbourne rock trio's new record walks confidently through difficult topics, often with an emotional tug in its wake. Recent headlines out of Australia make burgeoning rock trio Camp Cope look like die-hard activists. At the end of 2017, bassist Kelly-Dawn Hellmrich wrote an essay on music industry discrimination for Australian publication The Music. On New Years Eve, singer and guitarist Georgia "Maq" McDonald called out Falls Festival for only booking nine women musicians. And the band pushed fellow festival acts to wear T-shirts about sexual assault prevention and has been encouraging musicians to spread the message. During their three years together, Maq, Hellmrich and drummer Sarah Thompson haven't shied away from discussions or the backlash that arise from their actions, and watching those conversations take place gives fans around the world a secondhand thrill, as if real change feels within reach. Thanks to the impending release of the band's sophomore album, How To Socialise & Make Friends (out March 2 on Run For Cover), we've only just begun to talk about Camp Cope in that context. The innocuous title suggests a focus on awkward moments or menial triumphs, in the vein of Courtney Barnett. But from its opening, solitary bass line, the record walks confidently through difficult topics, often with an emotional tug felt in retrospect. "The Face of God" sees Maq grapple with unwanted advances in the bedroom and misplaced chagrin when her accusations aren't heard: "Somehow what happened to me was my fault / You can see it in the apologists / And hear it in the songs." Elsewhere, she confronts self-identity hurdles on "Sagan-Indiana," damage left by irresponsible men with "Animals & Real," and skewed relationship power dynamics in the title track. These words come to life through the trio's slow-burning performance. Hellmrich guides songs with despondent bass tones; Thompson follows close behind by leaning into downbeats; Maq's voice, an instrument-turned-weapon that pokes holes in your heart with coarse howls, seemingly tears up her throat as it lurches out. These combine to give their rough, minimal rock a punk edge. Every unpolished moment stuns with turn-of-age earnestness and, thanks to matte production, gives the illusion of being delivered mid-diary entry. Nowhere is that feeling conveyed as potently as the album's aptly titled "The Opener." Leaning on lived experiences, the trio tears through an anthem about undermining advice, misogynistic actions, and the excessive barriers they face in the music industry. "Tell me again how there just aren't that many girls in the music scene," Maq sings. "It's another all-male tour preaching equality / It's another straight cis man who knows more about this than me." Like the other tracks on the album, it isn't a roll call of injustices, but an opportunity to tell listeners that they aren't alone. It's what makes the song's lyrical equivalent of a middle finger — "See how far we've come not listening to you" — feel like a community resource. The thrill of hearing Camp Cope fight the patriarchy on How To Socialise & Make Friends isn't that they're taking names or refuse to let up (both positive actions, to be clear), but that they remain radical while keeping their sound casual in structure. Camp Cope want to normalize the fight for equality and have been trying to since long before the #MeToo movement showed its fangs. The only difference is that now they have a megaphone for it.